Bader Content Studios is the producer of this weekly series that previously aired on NYC LIFE TV which is under the umbrella of NYC Media, part of the Mayor’s Office of Media and Entertainment and is the official broadcast network and media production group of the City of New York. 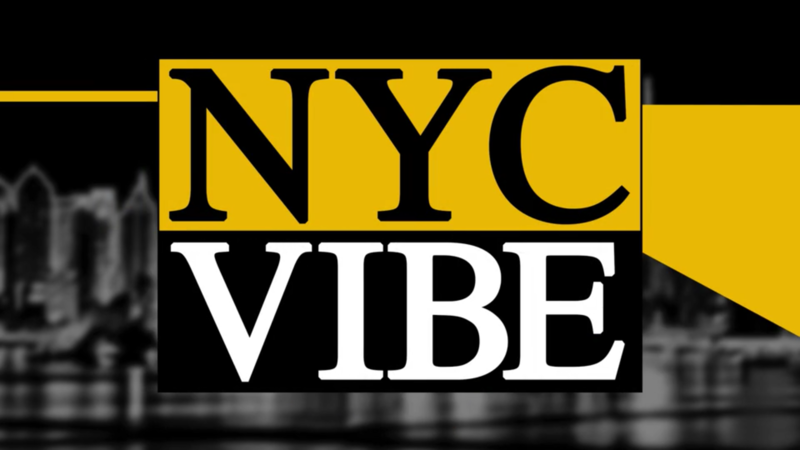 NYC Media’s flagship channel, NYC Life, explores arts and culture, entertainment and lifestyle, and history and education, and features the people and places that make NYC unique. Viewers can also now watch our content on a number of expanding platforms, such as iTunes, the NYC Media iOS app and Taxi TV. At the Explorers Club awards night in Midtown Manhattan, it was an historic gathering of astronauts and scientists celebrating the Apollo 11 mission 50th anniversary and more. The event commemorated the past accomplishments while pointing towards the future of exploration and discovery through technology and teamwork. NYC VIBE met with these pioneers to talk about where we’ve been, where we’re going, and how we are going to get there! The Gala also honored the Hong Kong chapter of the Explorers Club with a citation of special merit. The award recognized the scientific breakthrough of an expedition to the Gobi desert supported by INFINITI Motor Company in 2018 that, for the first time, applied NASA imaging technology to improve the science of finding dinosaur fossils. The expedition, dubbed The Roy Chapman Andrews Centennial Expedition, was organized by the Club’s Hong Kong Chapter and was awarded the Club’s prestigious Citation of Merit in recognition of an outstanding feat of exploration. The expedition yielded historic results, including the discovery of many important fossils and new fossil locations, as well as potentially three or more new species of dinosaur. Roy Chapman Andrews famously found dinosaur eggs at the Flaming Cliffs in the Gobi approximately 100 years ago and was the first explorer to use “motor cars” to vastly increase the efficiency of the expedition. A century later, INFINITI provided a fleet of state-of-the-art luxury SUVs and underwriting to support the expedition, reinforcing the ethos of using new technology to empower exploration. Singer Marc Anthony and Henry Cárdenas introduced the honorees for Maestro Cares Foundation’s sixth annual “Changing Lives, Building Dreams” Gala. NYC VIBE was on the red carpet this as the Foundation honored four outstanding and deserving role models. Oscar, Emmy, Grammy and Tony Award winner Rita Moreno received the Maestro Cares Global Ambassador of Arts and Culture Award, Vicente Fox, Founder of Centro Fox and former President of Mexico received the Maestro Cares Humanitarian Award, acclaimed award-winning composer, lyricist, and performer Lin-Manuel Miranda accepted the Community Hero Award, and actor, producer and film director Vin Diesel was on the stage receiving the first ever Voice of Change Award. Proceeds from the fundraiser provide essential support for Maestro Cares Foundation, a non-profit organization established to build safe and healthy environments for disadvantaged children in Latin America and U.S.